May 7, 2004 was the day that transformed William Joseph Thomas’ life completely. 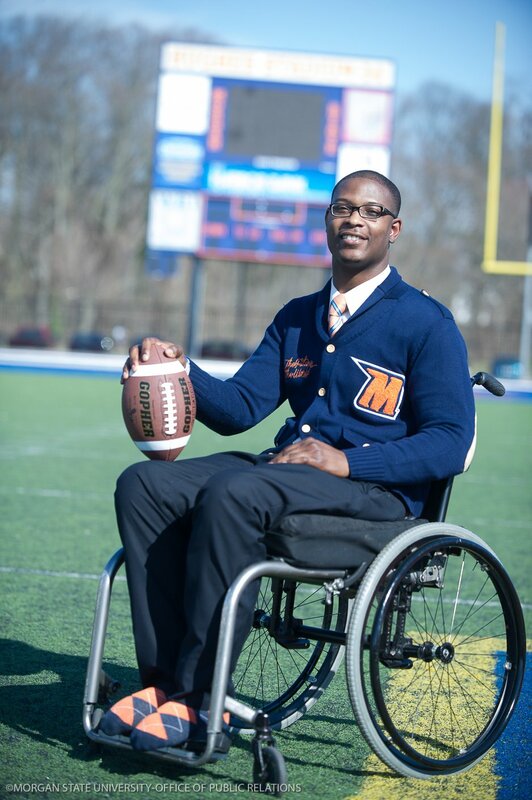 William was an innocent bystander in a mass school shooting at Randallstown High School in Baltimore, MD, leaving the three-sport athlete paralyzed from the sustained injuries. Then, he was described as a victim but William describes himself as an engineer, an advocate, a service-oriented leader, and most importantly, an incredibly resilient survivor. He uses his experience as a platform to educate others on topics including: mental health, trauma-informed care, disability awareness, race relations and violence prevention. He also promotes STEM (Science, Technology, Engineering and Math) education in the urban community. William has always been highly ambitious and motivated. 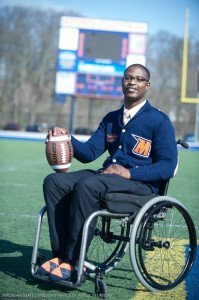 Despite having to sideline his lifelong dream of playing football for his beloved alma mater, Morgan State University, he graduated in May of 2011 with a Bachelor’s of Science degree in Electrical Engineering. He is currently employed at Northrop Grumman Corporation as a Systems Engineer. As an active mentor and community servant, William’s personal mission is to share his experiences in hopes to inspire and educate people about social justice and urban communities. He has been featured as the keynote speaker at several events. He has also participated in various panels alongside professional athletes from the NBA, WNBA and NFL. Use our Contact Page to invite William to speak at your next meeting or event.